"So much more than ASA Training"
Belize Sailing Vacations is proud to be an American Sailing Association (ASA) affiliated sailing school and the only ASA school in Belize. 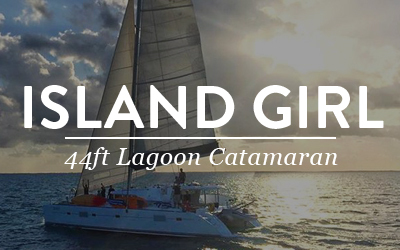 We specialize in customized sailing instruction delivered in a catamaran charter environment over the course of multiple days. Sailing courses are taught following the approved curriculum of the American Sailing Association and result in ASA certification. Our classes offer a personalized all-inclusive sailing experience with the right balance of education, relaxation and adventure. 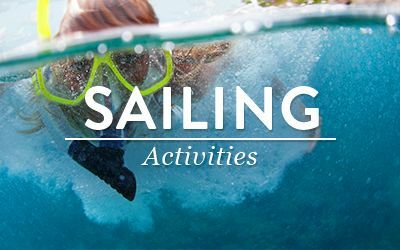 Our experienced instructors deliver ASA sailing school material in a safe and fun learning environment surrounded by some of the most beautiful islands in the Caribbean. We will work with you to tailor a curriculum to meet all your training needs. Belize Sailing Vacations offers sailing instruction in an informal but thorough delivery style, where the catamaran is our classroom and the beautiful sailing our material for learning. 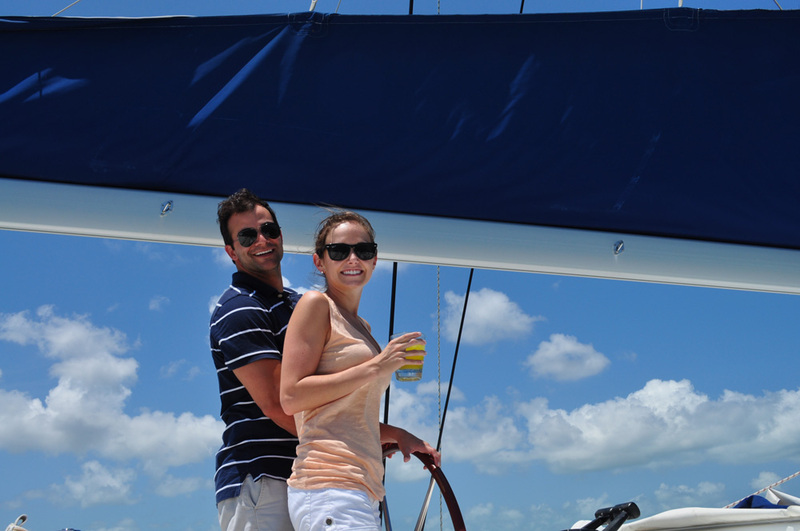 Earn ASA sailing school certifications while enjoying the Caribbean vacation of a lifetime. Our Belize sailing school curriculum offers a rich blend of technical skill, confidence building, and common sense coupled with a spirit of adventure and romance for sailing. We refer to our courses as “instructional charters” and believe they are the most effective way to learn because you are immersed in a hands-on sailing environment for the entire time. 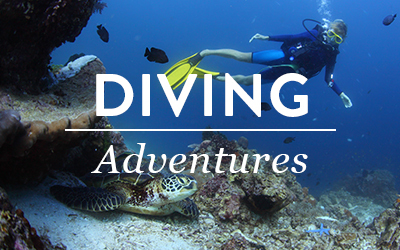 Your instructional sailing charter allows you to complete your training and build additional confidence, all while sailing and exploring the amazingly diverse waters of Belize. We offer both private and group ASA classes and our bottom line is ‘sailing is fun’ and we believe your ASA sailing certification should be as well. An introductory sailing class that assumes no prior sailing experience. Covers the skills and knowledge necessary to act as skipper or crew of a sloop rigged keelboat between 20 and 30 feet in length in light to moderate conditions by day. Basic Keelboat is a nationally certified safe boating course that can be used in satisfaction of state training/licensing requirements. 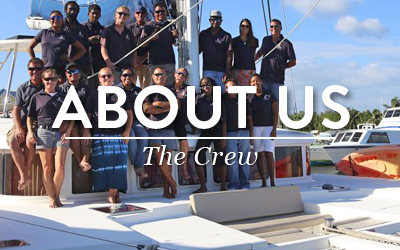 Covers the skills and knowledge necessary to act as skipper or crew in familiar waters aboard an auxiliary powered sailing vessel in light to moderate conditions by day. Introduces students to boat handling under power. 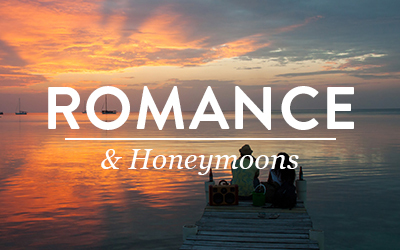 Also known as Bareboat Chartering. Focuses on the skills and knowledge necessary to act as skipper or crew of a cruising sailing vessel 30 to 50 feet in length during approximately a one week cruise in coastal waters by day. Delivered during a cruise lasting a minimum of 3 days. Covers traditional (non-electronic) navigation principles and techniques. These include, but are not limited to: use of nautical charts, use of traditional navigation tools (compass, dividers, parallel rules), deduced reckoning (DR or ded. reckoning) navigation, correcting for magnetic variance and deviation in course lines and bearings, taking and plotting fixes, correcting for current and leeway in course lines, plotting running fixes, determining tidal range; current; and times from tide tables. This is a non-sailing course. 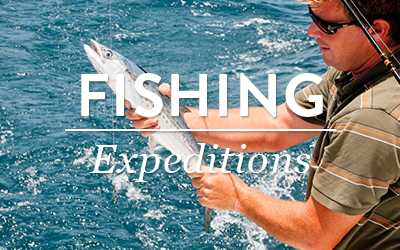 The practical application of these skills occurs in Advanced Coastal Cruising. The opportunity to put all the pre-requisite course skills into practice during the day and at night! The successful student has served as skipper and crew aboard a sailing vessel, 30 to 50 feet in length, underway for at least 32 hours continuously in coastal waters. Learn how to tame that cat! 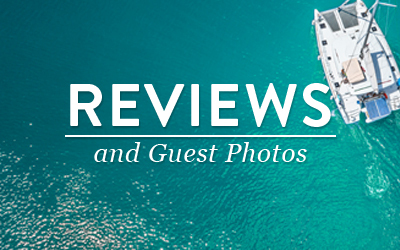 An endorsement to Intermediate Coastal Cruising. 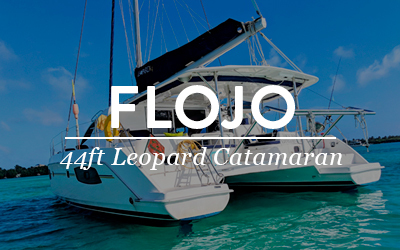 Covers the skills and knowledge specific to acting as skipper and/or crew aboard a 30 to 50 foot cruising catamaran. This course is delivered as both a full Intermediate Coastal Cruising class or simply as an endorsement class for students who already have completed the Intermediate Coastal Cruising standard. 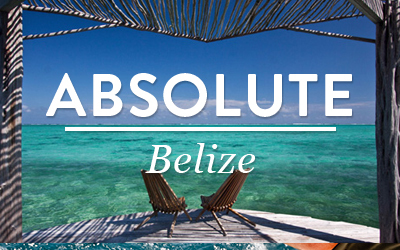 Belize Sailing Vacations offers ASA courses and customized private instruction that can be added in addition to your all inclusive charter. Customized instruction is not limited to the ASA curriculum and may focus on any subject areas the student specifies. Pricing for customized instruction is available on request. 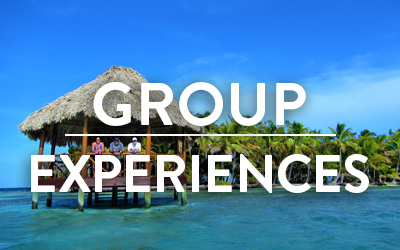 Private instruction can be tailored to one individual or the entire group and we will ensure a wonderful vacation for the entire crew, students and non students alike. 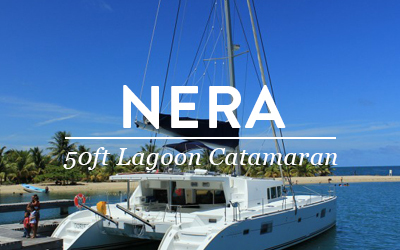 Train with us before chartering or buying a catamaran and enjoy the confidence before you head out by yourself. Prices for ASA Courses include all ASA materials, ASA certification processing, instruction, and boat fees. Please see below for ASA pricing that can be added to your existing charter and contact us for more information. 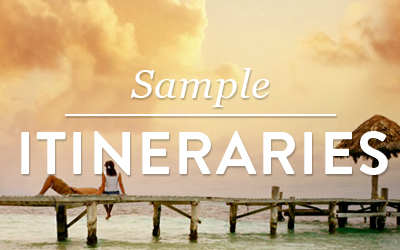 *All prices are in addition to charter package rate. Group ASA Classes offer a chance to experience an all inclusive private charter with others who are interested in expanding their knowledge and gaining confidence on the water. Class size is limited to 6 students. Safety, Fun, and Learning is our goal and we believe in just the right blend of experiential learning and a wonderful vacation. 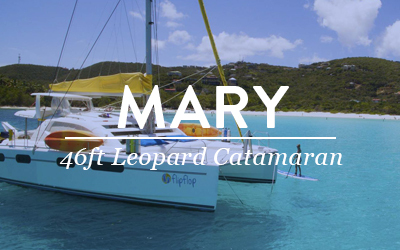 Sailing to sandy palm studded beaches & unspoiled anchorages! I had signed up to do some advanced sailing training. 2 weeks before the trip the other student canceled. I was given the option to reschedule (I needed the training now!) or a shorter private training even though they don't normally do that. Cliffe Wilson, my Capt and instructor was a competent, professional, encouraging teacher. As a former flight instructor I know what it takes to be an excellent teacher and he is!!!! I came away much more confidence in my Captain ability and had a lot of fun along the way. Kerrie, along with Cliffe's wife Rachael made us delicious food (I want the recipes!) arranged for Allie, a tour guide friend to give me a private snorkel tour of the marine reserve, which I thoroughly enjoyed. I feel like I have new friends out on the water. Thanks to all of you! We were excited to spend a week aboard the Sea Dale with captain Rory and chef Carrie, while Dan successfully took his ASA certification. The cabins were comfortable and spacious, the meals were delicious and Carrie took care of the special needs of one of our guests who was quite ill. Rory, you are a professional! Competent, patient, a skilled sailor and a delightful person , thank you for your guidance and for passing on your knowledge. We had a wonderful vacation and have memories that will last a lifetime. 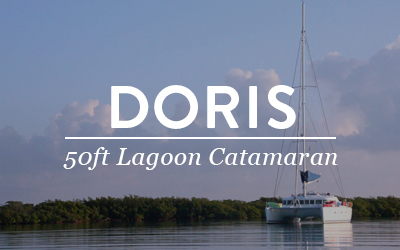 We have the pleasure of staying on the Doris for 10 glorious nights. Right from the time our flip flops hit the bucket until we tied back to the dock at the marina, Captain Andy and Kainie took amazing care of my husband, my sister and her husband. Mandy in the office did a great job of putting together our trip. Andy is a very good sailor and the guys enjoyed taking their ASA 101 with him. He took us to the best snorkel spots and it was great that he accompanied us to show us some interesting things we probably would of missed without his eagle eyes! The reef is very healthy!! Kainie's meals were soooooo good. She did a fantastic job with my sisters gluten allergy! Kainie is very organized, good communicator and very easy to visit with. Definitely would like to return to do the outer reef with Andy and Kainie. We wanted a memorable and unique 25th Anniversary vacation and we found it! We also wanted to take American Sailing Association Certification classes during our time aboard, and we got to do that too, which made it a really awesome learning vacation as well. Cliff and Rachael were phenomenal hosts. 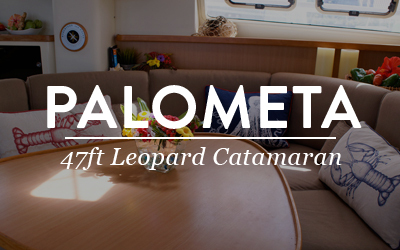 We got to sail two different catamarans, the Aubisque and the Doris, and both were lovely, spacious and fit out with all the amenities you can imagine. In one short week we covered four ASA sailing classes, snorkeled, spearfished, sailed a hobie cat, had a beach barbeque with fish we caught that morning, watched World Cup soccer games at a beachfront bar, windsurfed, swam with rays, sharks, turtles and barracuda. Each local guide was wonderful and knowledgeable, as were the mechanics and marina staff who gave us orientations to the boats. Our driver to and from the airport was prompt and friendly. This vacation was far beyond our wildest dreams; we were taken care of, entertained, educated and treated like royalty. We didn't know what to expect beyond just being aboard for a week of sailing, but they actually took the time to find out what our interests were and made sure we got to do lots of different things. Rachael is a phenomenal chef and provided unique and scrumptious meals that met our needs to a T. Cliff is not only an accomplished sailor but an excellent teacher as well, making our classwork fun and interesting. We will definitely be going back again and again! 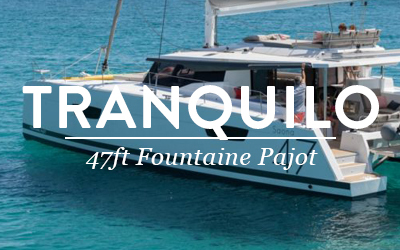 Spent 5 days aboard Aubisque (47' sailing catamaran). I expected to learn how to sail better (which I did) but got a lot more. The hospitality, food, drinks and good times far exceeded my expectations. Was looking for an option to complete my ASA (American Sailing Association) Bareboat 104 and Bareboat Catamaran 114 courses and Belize Sailing Vacations came up as a good option from the ASA website. Firstly, we were on board with 2 extremely experienced instructors - Cliff Wilson and Curtis Collins. In itself, that's a pure luxury for anyone learning to sail and more than worthy of chartering BSV for. The amount I learned in this 5 days was immense and I feel very confident taking the next step and taking a Bareboat Catamaran out on my own. Secondly, the food and drinks were magnificent. I expected glorified camping, but it was much closer to fine dining. 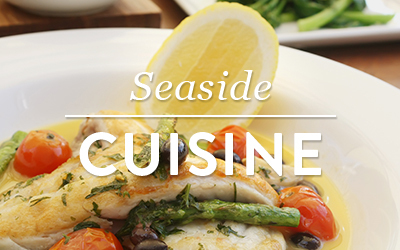 To name a few favorites.... Grilled Lobster Tail, Conch Ceviche, Shrimp Curry, Spanish Mackerel and Banana Muffins. They even managed the best Pumpkin Pie I've ever eaten in honor of Thanksgiving - don't ask me how. Lastly, the company and good times were loads and loads of fun. It's a little daunting to know you're going to be on a 5 day boat trip with people you barely know, but it proved to be very relaxed and comfortable. Cliff and Curtis were great to have on board and really made the trip for us. We also met up with another of the BSV's charter boats and made friends with those on board where we had a great Thanksgiving dinner. The crew on the other boat (Rachael and Genevieve) were very welcoming and a lot of fun too. All in all, I can't rate this vacation highly enough and I'm really looking forward to doing it again. 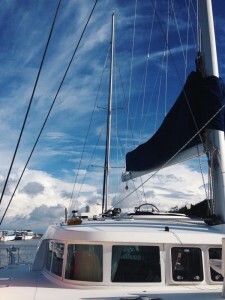 I returned to Belize Sailing Vacations, this time to learn about sailing. What an amazing decision that was. 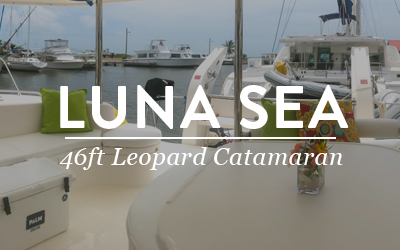 The accommodations on Luna Sea were of course remarkable, as we expected after our stay on Doris a few months ago. And Belizean waters never disappoint, even though the weather was uncharacteristically windy, rainy and cool. Most impressive though was the crew, who also doubled as our instructors. Captain Casey and First Mate Sarah were exemplary in every way. For starters, Casey is the most qualified ASA instructor in Central America. With a kind and confident style, he teaches with the effectiveness of someone twice his age. As first mate, Sarah was mostly responsible for our gourmet meals and accommodations, but get this - she is also ASA certified! So no matter what we were doing we were surrounded by expertise and luxury, and the learning experience was incredibly enhanced by this. 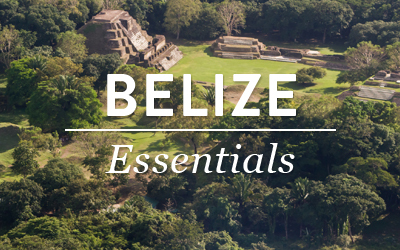 Whether you are looking for the vacation of a lifetime or you're ready to invest in your sailing education, you can't make a better choice than Belize Sailing Vacations. We sailed on the catamaran Doris with Captain Andrew and cook/first mate Matt on a six night ASA101/103 trip. Accommodation on the Doris exceeded our expectations. 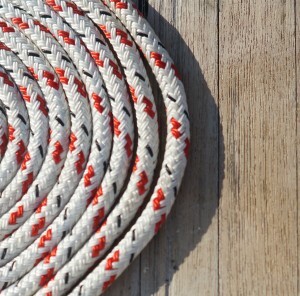 The boat and other gear provided on board was well maintained. We had a very comfortable room with our own bath. Matt and Andrew were extremely competent sailors and instructors along with being very amiable hosts. Matt's cooking was very tasty, made creative use of Belizean ingredients from land and sea and each meal was presented beautifully. What an unexpected treat on a sailboat! We hadn't sailed in years, but with Matt and Andrew's help we learned the basics of sailing a large boat like the Doris. Given a good wind she was great fun to sail! 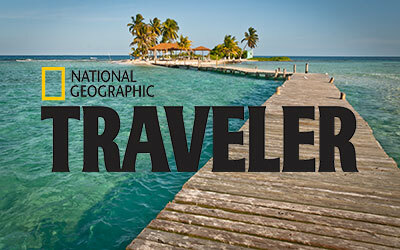 After a day of sailing there was an anchorage near a different tropical island each night and a chance to snorkel on the Belize Reef, an experience that in and of itself would have made for a memorable vacation. For us this trip was a wonderful mix of being pampered by the crew, enjoying the beauty of the sea and islands but also being challenged to learn new skills. It takes an experienced crew to get the right balance! Thank you for a wonderful vacation.